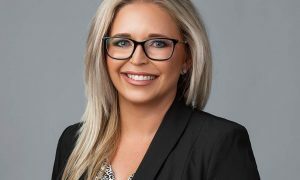 Southern Cross Austereo rocked the Sydney radio world last week by poaching one of Australia’s hottest executive producers – WSFM’s Laura Bouchet – to work on the new Triple M Sydney Lawrence Mooney breakfast show. Triple M head of content Mike Fitzpatrick talks to Mediaweek about the move and how the network is positioned for 2019. “She has runs on the board and you cannot find anyone in the industry that doesn’t speak highly about her. I already knew we made the right decision, but it was nice to have affirmation from many people after the announcement was made. 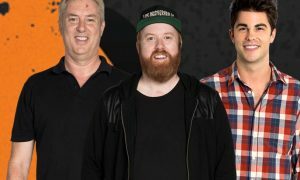 When asked if Bouchet’s arrival means a change of target audience at Triple M Sydney, Fitzpatrick said: “It was obvious from the show we had before we were very, very male and also nearly exclusively western suburbs targeted. That was great because it was what we needed at the time. “The Grill Team Triple M created nine years ago was what we needed. We had been in the wilderness and we had a share of about 2.9% in breakfast. We didn’t really stand for anything, we weren’t playing rock music and we had just bought the NRL rights. “Creating The Grill Team was a necessary move to claim back our core audience, put a flag in the sand and say this is what we stand for. “That show is not what we need now. Our NRL coverage is 10 years old and remains #1 under 70. The audience also knows what we stand for musically. “Our goal now is to grow our 10+ audience in breakfast. Breakfast is where all the audience comes in and we then keep them across the day. We weren’t ever going to grow 10+ with the show we had there before. 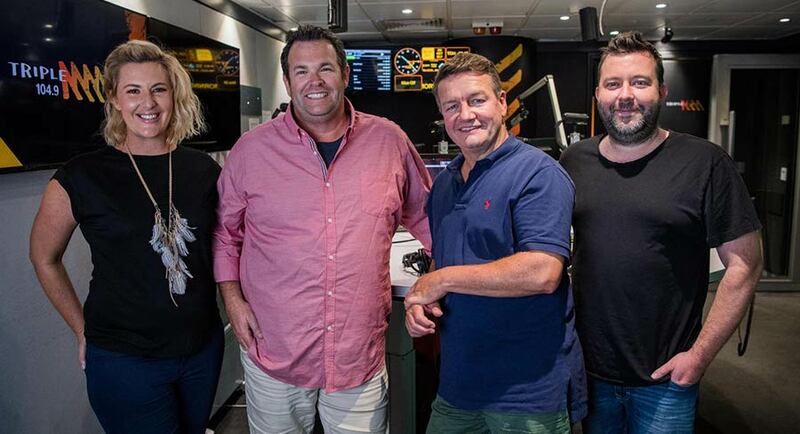 The new Sydney show is led by Mooney with Grill Team original Gus Worland, SCA veteran the great Chris Page and Jess Eva from Sunshine Coast breakfast radio. The Moonman breakfast team were very happy with the new appointment, said Fitzpatrick. Without the question being asked about where Mooney will be based (it was coming), Fitzpatrick said: “Despite what some of the press would have you believe, Lawrence isn’t doing the show from Melbourne every day. He will be in Sydney for the first couple of surveys and he is looking for apartments. He needs to be in Melbourne for some commitments and he will split his time between the two. Of the arrival of Jess Eva in Sydney to be part of Triple M breakfast, Fitzpatrick said: “She will be a fantastic long term radio player. She has not come from a reality TV background. She comes from a radio background. Has she moved to Sydney? The Brisbane station had a great end to 2018 with a record share. “Moony likes to downplay his role in that. The reality is that the Triple M breakfast show has great bones with Robin Baily and Greg Martin. Newcomer Nick Cody is great. He lives in Brissie and his strike rate is very high. He will be a long-term prospect too for Brisbane. We ended last year with a record result. It was heartening we did it via a slow, steady build over 12 months, which indicates we got the strategy right. “We had consistent figures across the year and we were consistently winning the workday, but unfortunately we ended dropping a little in the last two surveys. “Kennedy Molloy has been hugely successful in Brisbane and Perth. It is growing in Sydney with some good recent results.